Has any Everton player scored more than Richarlison in their debut season at Goodison Park? Has Bournemouth star Jefferson Lerma picked up the most cautions this season? And was Harry Maguire's sending-off at Burnley the quickest in Premier League history? Liverpool's Sadio Mane has now scored 11 goals in 11 matches in all competitions, nine in his last nine Premier League matches and seven in his last five games in all competitions. However, it was also only the forward's second goal in his previous 12 away Premier League appearances, the other one being in controversial circumstances at West Ham. Mane had scored in Liverpool's first two away games of the season, but Sunday's strike was just his second on the road in the league since then. 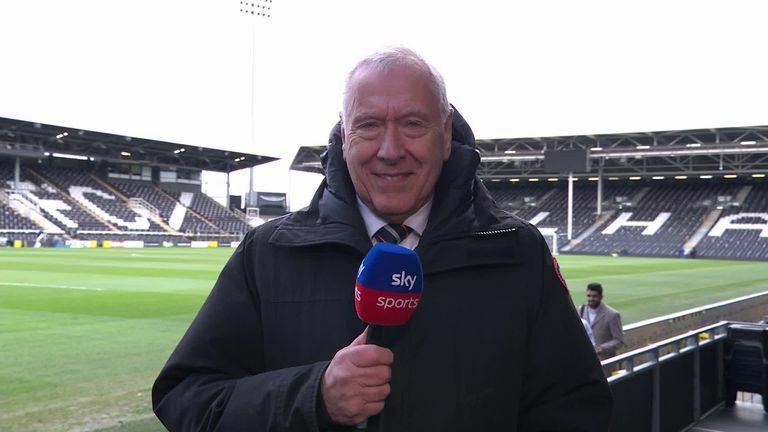 For Fulham's Ryan Babel, it was his 100th Premier League appearance and his 14th Premier League goal and they are split 91-12 Liverpool and nine-two Fulham. And finally, it was Liverpool's sixth straight win over Fulham, including another double over the west Londoners this campaign. MARTIN SAYS: Richarlison's opener against Chelsea on Sunday took the Brazilian's goal tally to an impressive 12 in the league so far this season, the forward's first on Merseyside. MARTIN SAYS: Brighton's 5-4 win on penalties over Millwall in the last eight of the cup on Sunday was not the first time a side has reached the semi-finals of the cup after a penalty shootout. Five years later and the Blades were at it again, this time against Coventry after a pair of 1-1 draws could not separate the two teams, before Steve Thompson's men advanced to the semi-finals 3-1 in the shootout. However, while Sheffield United did not progress to the final in 1993 or 1998 - losing to Sheffield Wednesday and Newcastle respectively - Arsenal did beat Wolves, before then overcoming Newcastle 2-0 in the final 21 years ago to seal a famous Double under Arsene Wenger. MARTIN SAYS: Bournemouth midfielder Jefferson Lerma picked up another booking in Saturday's 2-2 draw with Newcastle after a crunching tackle on Ayoze Perez just 18 minutes into the match on the south coast. And that means the Colombian has now been yellow carded 11 times in his debut campaign at the Vitality Stadium, one more than Newcastle's Fabian Schar - who is also in his first season in English football - Wolves' Ryan Bennett and Watford's Jose Holebas. MARTIN SAYS: Leicester defender Harry Maguire was sent off after just three minutes and 11 seconds of Leicester's 2-1 win at Burnley on Saturday and that is the fifth-fastest Premier League red card since Opta records on this data began in 2006/2007. The fastest came back in 2015 when West Brom's Gareth McAuley was sent off after just one minute and 29 seconds against Manchester City. However, it subsequently turned out that it was actually Craig Dawson who had committed the foul on City striker Wilfried Bony, only for referee Neil Swarbrick to mistakenly dismiss the Northern Ireland defender. Meanwhile, Leicester's victory at Turf Moor was also the longest a side has been down to 10 men in a Premier League match and won.